I like to take pictures – I am not a writer. Some have a gift with words and can use them to evoke emotion and paint vivid pictures of an experience. To me it’s intimidating. I’d rather use my camera to share something special. But a blog…I feel the pressure to write, and thus I keep putting off updating my site. 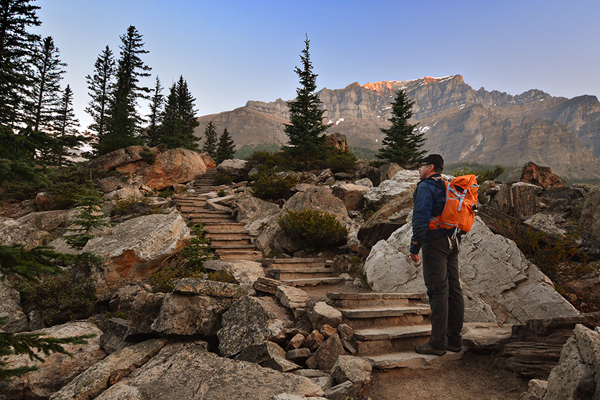 Our trip to the Canadian Rockies for me was an experience that I really can’t put into words. Simply put, it was magnificent. 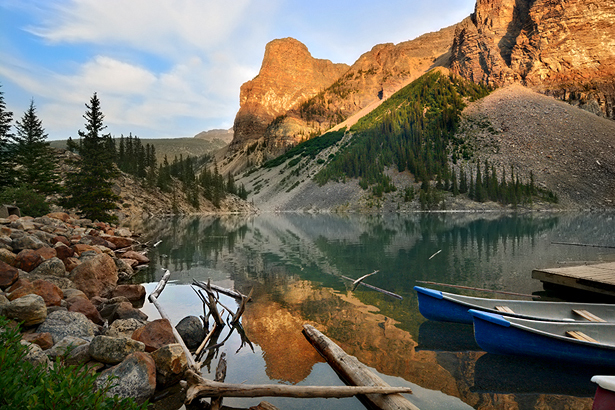 We had reservations to camp at the Lake Louise Campground. It was a good decision for us. The park was clean and very quite with spacious sites. 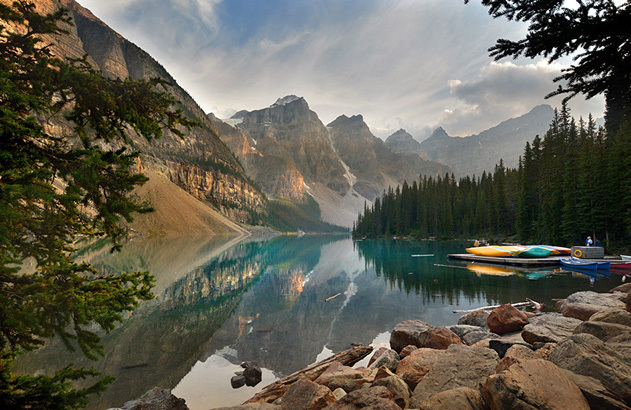 The location was perfect as it was just a very short drive to Lake Louise and to Moraine Lake which were the two areas we’d hoped to explore during our short stay. Our first view of the glacial blue waters of the Bow River! 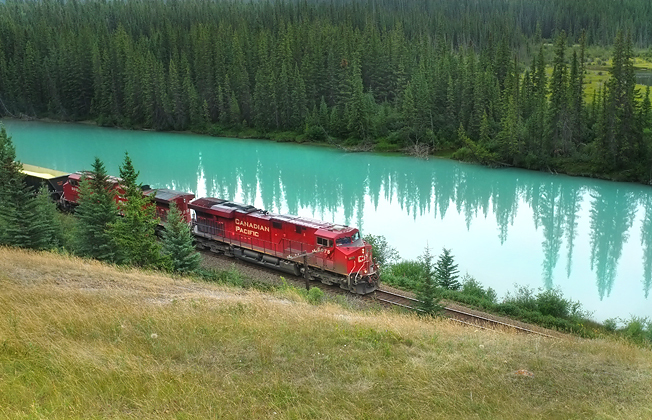 We knew this was the color of Lake Louise but we had no idea that the surrounding rivers were this color as well! 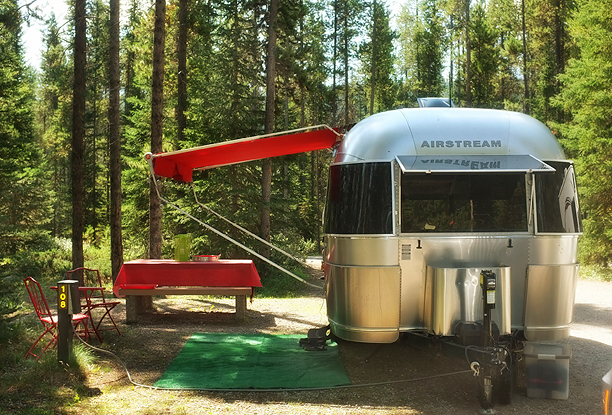 Our site at the Lake Louise Campground. Not all of the sites had fire rings which was too bad. We missed our fires at night. But it was quiet and clean and the location was great! 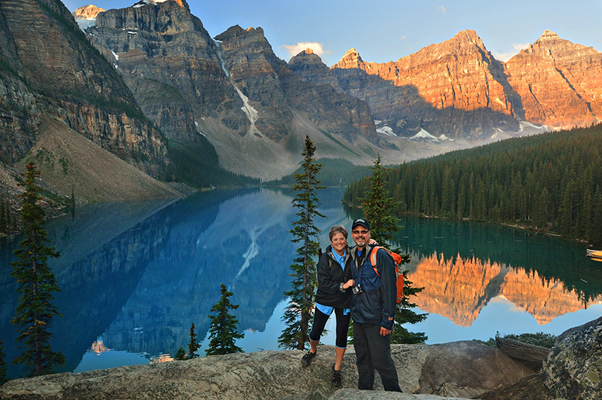 Our first stop on night one was Moraine Lake. It was definitely a good choice to visit at night. We got up to the lake at dusk and drove right up to a front row parking place. The lake was practically deserted. We walked around a bit and decided it would be a good place to view sunrise in the morning. 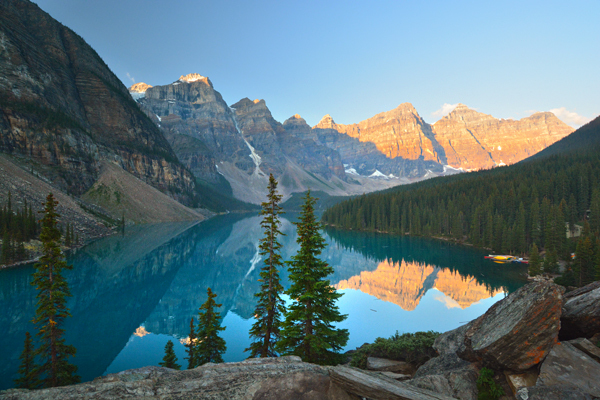 Our first view of Lake Moraine. The water was glass and the reflection was beautiful! We were up before dawn and found a perfect place to watch the sun come up. A few other people had the same idea as we did and we all lined up with tripods to catch the first light of the new day. It was a neat experience sitting there appreciating the view next to people from all parts of the world. We had no idea how busy this place would be during the day. So busy in fact, that the road to Moraine Lake was actually closed the following afternoon because there was no place to park… it’s a very long road with a huge parking lot at the end. We never got to witness the bright blue water during the midday sun, but we did get to experience a tranquil, quiet place that I think most others don’t experience. That was nice! In fact, I consider my time spent here some of the happiest memories of our trip. There’s something grand and awe-inspiring about the place that I wasn’t expecting. Up early in the morning ready to take photos from the moraine. 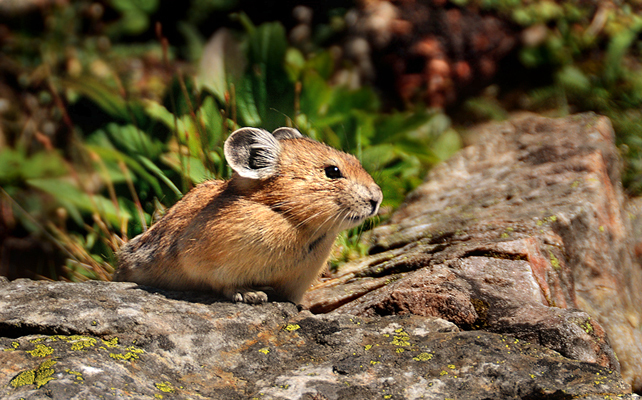 The elusive pika…hoping to share my cliff bar with me. What a feeling to see this for ourselves! Our plan for this day was to spend some time hiking the area, but all the trails were closed to groups less than four due to grizzly activity. 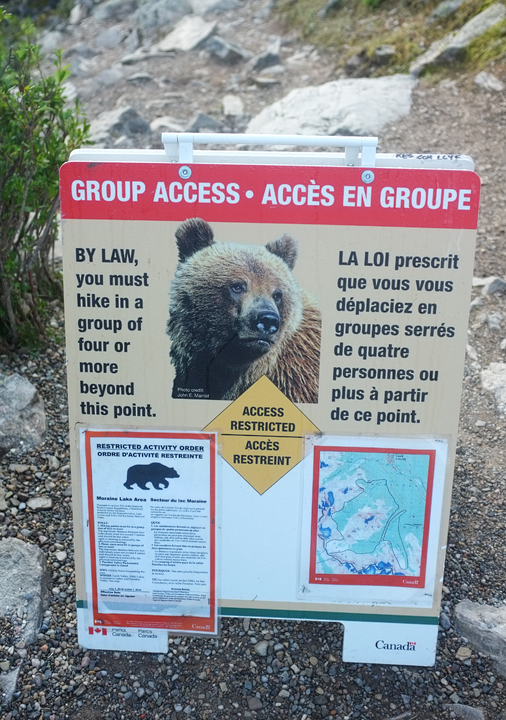 I took that seriously….bear spray, bear bells and all! 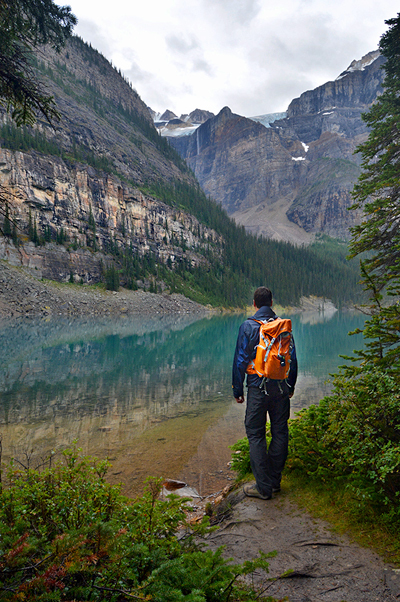 We decided to move on to Lake Louise before the crowds arrived. As usual, I am in awe of your photography and your dialog. So beautiful. I do have a question: What are the dates of the trips taken? I see the post dates. but are those the same as the dates of your trips? We are still waiting for parts before we can piece together our 2009, then we shall follow in your footsteps! Actually, we already have been taking day trips from your previous posts. Ah, but you are a writer… and you know it’s like walking, placing one foot in front of the other, except you place one word after the other and you have been doing that beautifully along with sharing those lovely images. No pressure… just write when it’s fun, in between spending precious time with loved ones! I found your blog from shopping Airstreams but got completely side tracked checking out your trips. The views are amazing!